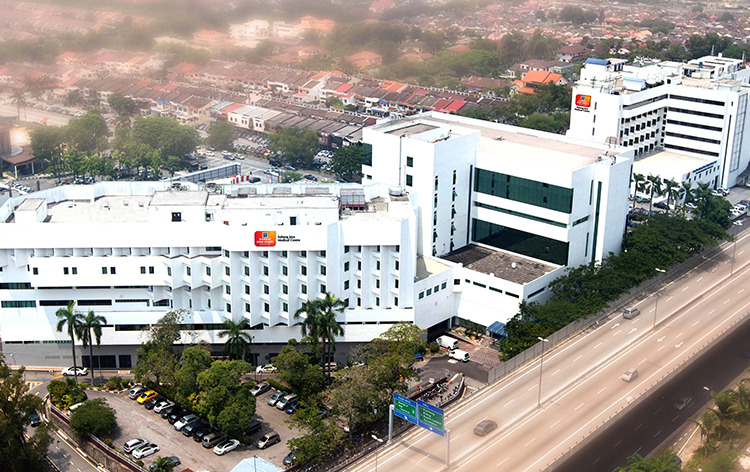 Subang Jaya Medical Centre is a renowned multi-specialty hospital in Malaysia and is a part of Ramsay Sime Darby Health Care Group. The 393-bedded hospital is a forerunner of healthcare service providers with contemporary and advanced infrastructure outfitted with next generation technology and instruments. The hospital houses some of the best oncology specialist and highly reputed renal and hematological experts, backed by years and experience and training in their field of expertise. This internationally accredited hospital holds the pride of many first achievements, such as first Cytogenetics facility in Malaysia, first Endo-vascular treatment of Abdominal Aortic Aneurysms (AAA) in Malaysia (2008), first Gamete Intra-Fallopian Transfer” – GIFT (GIFT) and IVF baby in Malaysia (1987). 64-slice PET/CT scanner, 1.5 & 3.0 Tesla MRI, 3-D High Dose Rate Brachytherapy (HDR) system, PET/CT, Tomotherapy Hi-Art system and a dual source CT scanner, Mammography. The Cancer Care Centre is equipped with ultra-modern technology to deliver External beam radiation, Brachytherapy, Intensity modulated radiation therapy (IMRT), Image-guided radiation therapy (IGRT), Radiosurgery, Tomotherapy, Intraoperative radiation therapy. Facilities such as Transarterial Chemo-embolization (TACE), Radio-Frequency Ablation (RFA), Microwave Ablation (MWA) and Peptide Receptor Radionuclide Therapy. Subang Jaya Medical Centre is an outstanding medical facility providing personalized healthcare services and all modern facilities to its patients. This hospital boasts of treating 5,000 international patients each year from Japan, European countries, Australia, Canada and USA. The International Patient Care Unit has a dedicated team which assists and aids the patients in abroad throughout the process of their treatment making sure the patients has a superlative experience at SJMC. Nearest Airport: Sultan Abdul Aziz Shah Airport which is 10.8 km away from the hospital and it takes approx. 14 min drive to reach. Reader’s Digest consumers award for 2011’s Most Trusted Brand in the private hospital category. Subang Jaya Medical Centre performs 385 different procedures. Click on a procedure name to see more details and to view doctors for that specialty.